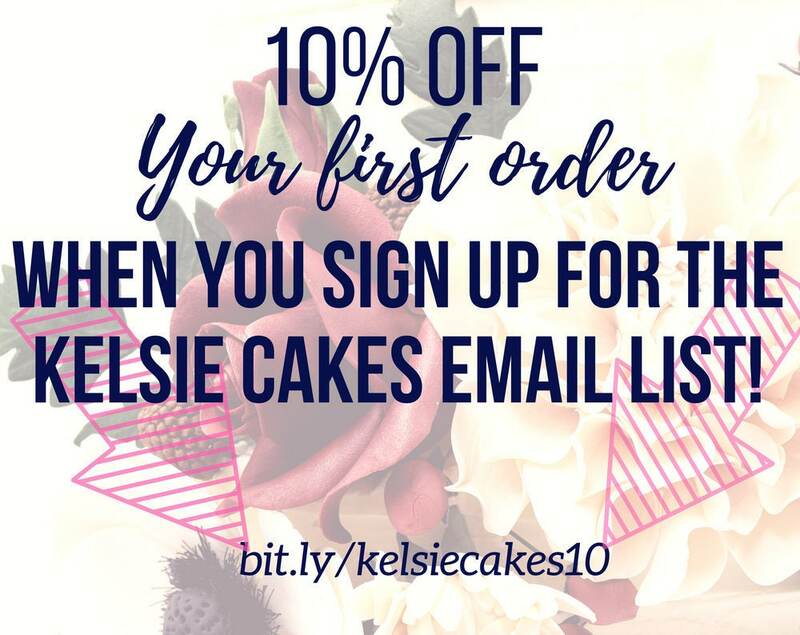 Get 10% off your first order when you sign up for the Kelsie Cakes newsletter! These open roses are gorgeous, unique additions to your wedding cake decorations. This flower is absolutely my best seller, and with good reason! I make each rose by hand when you order, so they are truly a work of custom art! The pictures show the roses in white. However, please contact me for any custom colors! If you choose a custom color during check out, please contact me with a color swatch so I can properly match your flowers! The center stamens are in silver, but I can also do rose gold, gold, or black. Large rose - approx. 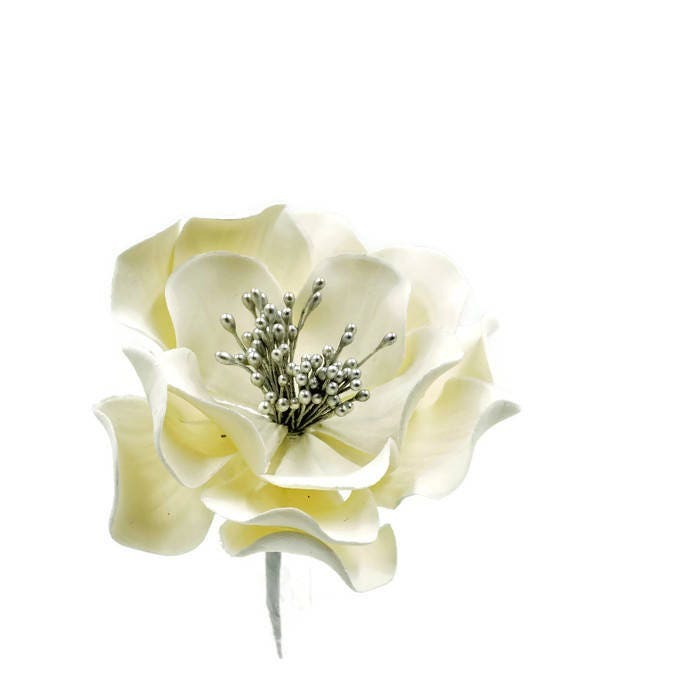 4"
Extra large rose - approx 5"
There are about 15 petals which are individually wired and adjustable to give you the greatest flexibility in arranging your display. This flower is a great choice for weddings, bridal showers, quinceañeras, birthdays, and celebrations. Flowers take about 1-2 weeks to be created and have time to dry. Shipping takes 2-3 days through the USPS Priority Mail. If you need your flowers sooner, please contact me! I do have rush shipping options available. Each flower is made just for you when you order, so some slight differences from the photos may occur. 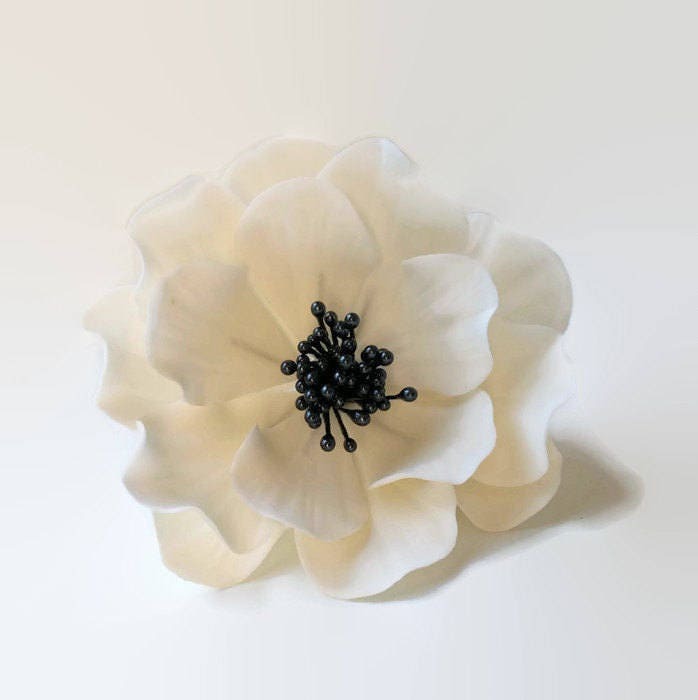 Gumpaste is an edible material, however, due to the inclusion of nonedible material, such as threads, wires, plastic stamens, etc, these flowers are for decorative purposes only. Gumpaste flowers can last for years if stored properly: Keep them away from sunlight, humidity, and extreme temperatures . --Service providers. I engage certain trusted third parties to perform functions and provide services to my shop, such as shipping and delivery companies. I will share your personal information with these third parties, but only to the extent necessary to perform these services. --Business transfers. If I sell or merge my business, I may disclose your information as part of that transaction, only to the extent permitted by law. I may store and process your information through third-party hosting services in the US and other jurisdictions like Google Cloud. As a result, I may transfer your personal information to a jurisdiction with different data protection and government surveillance laws than your jurisdiction. I rely on Privacy Shield as the legal basis for the transfer, as Google Cloud is Privacy Shield certified. --Access. You may have the right to access and receive a copy of the personal information I hold about you by contacting me using the contact information below. --Change, restrict, delete. You may also have rights to change, restrict my use of, or delete your personal information. Absent exceptional circumstances (like where I am required to store data for legal reasons) I will generally delete your personal information upon request. --Object. You can object to (i) my processing of some of your information based on my legitimate interests and (ii) receiving marketing messages from me after providing your express consent to receive them. In such cases, I will delete your personal information unless I have compelling and legitimate grounds to continue using that information or if it is needed for legal reasons. --Complain. If you reside in the EU and wish to raise a concern about my use of your information (and without prejudice to any other rights you may have), you have the right to do so with your local data protection authority. 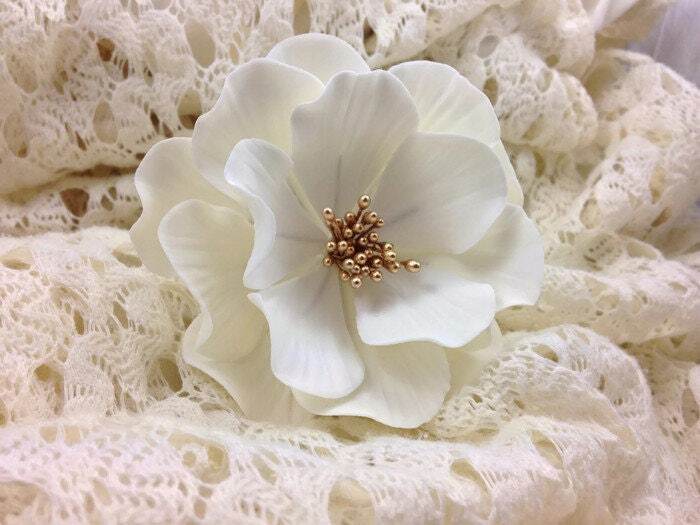 I am happy to make custom sugar flower orders for you! Please share with me your event date, the size of your cake, the colors you're using, any inspiration photos (bouquets, other cake photos, etc), and I'll work with you to create something unique. Custom orders may take longer to create, so be sure to place your order in advance, I recommend at least 4-6 weeks before your event! Gumpaste flowers have an extremely long shelf life, due to their sugar content and low moisture. As long as the flowers are taken care of properly, they'll last for years! Keep the flowers out of direct sunlight (it can fade the colors) as well as extreme heat/cold, and especially out of humidity. Some refrigerators are very humid, and can cause the flowers to melt, so I recommend placing the flowers on your cake before serving. If you have any questions, please don't hesitate to contact me. Each flower arrives in a box suitable for storage and comes with a care guide. How soon will I receive my flowers? The time it takes to create your flowers depends on design but can take any where from 3 days to 2 weeks or longer for custom orders. Each listing will have more specific details. Shipping takes about 3 days via the US Post Office. 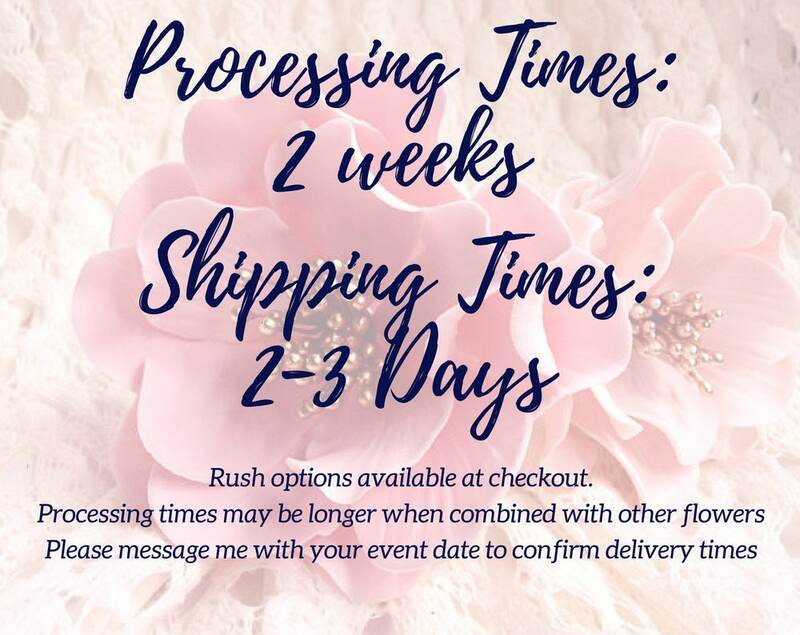 If you are concerned about your order arriving in time, please contact me with your event date to confirm that the flowers will arrive before your event. You can also select from upgraded shipping options during check out. Will the flower look exactly like the photo? Each flower is made to order, so some differences may occur. Just like in nature, no two flowers are alike! Colors may vary slightly as well due to screen differences. 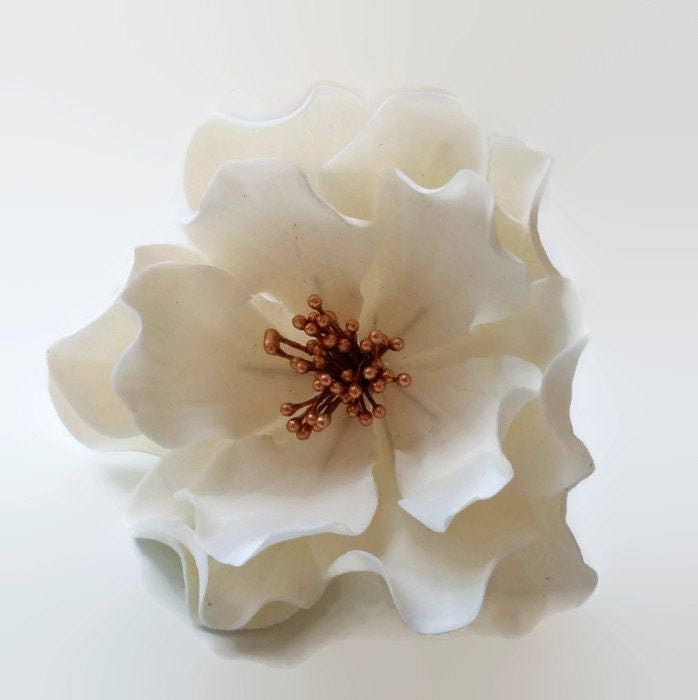 Sugar flowers are made with edible ingredients (gumpaste, egg whites, sugar) however they also contain wires which are used to hold the petals together and arrange the flowers. The wired flowers are not meant to be eaten, and should be removed prior to serving your cake. I live in Tampa. Can I pick up my flowers? At this time, local pickup is not available. All orders will be shipped with USPS Priority Mail or First Class Mail where available, but since you are local, you should receive your flowers within one, possibly two, business days after shipping. Processing times are still 1-2 weeks, however rush options are available at checkout. These flowers are gorgeous! I love them! They were very carefully packaged for shipping. Absolutely love this. The shipping is outstanding. Beautiful!! And very willing to work with me on color and shipping. Thank you very much for all your help! Absolutely beautiful. They are so light and airy!